Home › Should I Invest in Bitcoin? Bitcoin has been in the news a lot recently. It is a volatile crypto-currency that has reached dramatic highs but has also experienced devastating lows. So - should you invest in Bitcoin or other crypto-currencies? That depends a lot on you, your personal financial picture, and your risk tolerance. Critics have compared Bitcoin to other investment crazes like gold, Beanie Babies, and baseball cards. These are all things that people bought, thinking they could sell them to someone else for money in the future. While exciting, this is not a sound investment strategy. In fact, many people refer to it as speculation. Critics of Bitcoin will tell you that investing involves buying an asset that creates products, services, or cashflow, like a business or a rental property, for an extended period of time. It has intrinsic value and would be worth something even if you could never sell it. Proponents of Bitcoin and other crypto-currencies will argue that Bitcoin is one of the fastest ways for young people to attain wealth, and that crypto-currency will facilitate one of the largest wealth transfers the young generation has ever seen. In July 2010, one Bitcoin cost just 5 cents. By December 2017, that same Bitcoin cost almost $20,000. And in February of this year, the price of Bitcoin fell by more than $12,000. Bitcoin and other crypto-currencies are volatile. Prices can go up or down 30% in a single day. And while many investors believe that blockchain technology will fundamentally change the way we transfer money, many of those investors acknowledge that the majority of crypto-currencies will probably be worthless in less than 5 years. 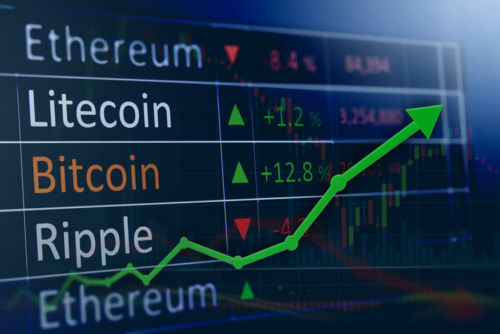 This means that you should only invest as much as you’re comfortable losing, which should be no more than 1 to 2 percent of your overall portfolio. If you do decide to invest in crypto-currency, choose one of the two biggest players: Bitcoin or Ethereum. Just like with other investments, it’s important to diversify by also investing in other, smaller crypto-currencies. Another way to conceive of an investment in Bitcoin or other cryptocurrencies is the same way an angel investor looks at a start-up: they hope it will be successful, but there are lots of unknowns. There’s a good chance you’ll lose money. But if you’re successful, the payout could be huge. People who think Bitcoin is a good investment believe that, eventually, it will become widely accepted as a new way to exchange money. But there is also the very real risk that the crypto-currency you chose might not survive. Bitcoin and other cryptocurrencies are difficult to forecast because there are no cashflows to analyze or financial statements to review. Instead of Bitcoin, you could consider putting the money you plan to invest in Bitcoin into a more stable investment vehicle like an emergency savings fund, increasing your 401(k) contribution, or taking advantage of a Roth IRA. If you do decide to invest in crypto-currency, Bitcoin is probably the safest, most established crypto-currency on the market right now. It’s still a gamble, but it’s a gamble that could pay off handsomely, if you’re lucky. If you’re considering Bitcoin or other crypto-currencies as an investment tool, contact an experienced probate and estate planning attorney at Wolfe Legal Services today.